As a manager, you aren't truly successful unless your employees are as well. 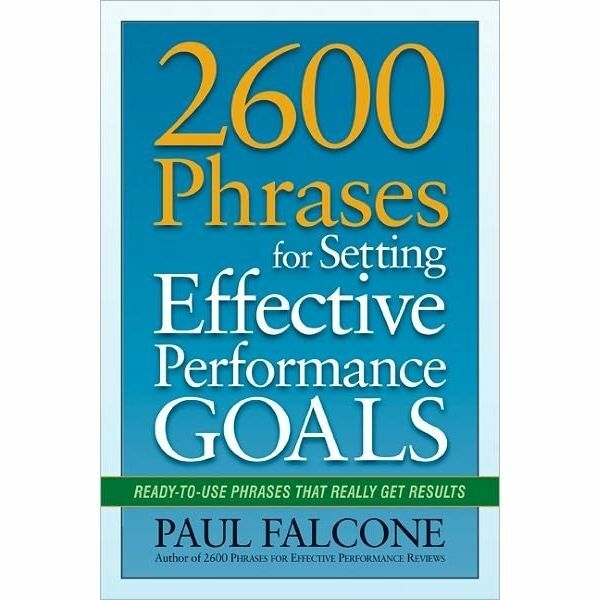 Helping them establish compelling, actionable performance goals is the first and most important step, and 2600 Phrases for Setting Effective Performance Goals is there to lend a hand. 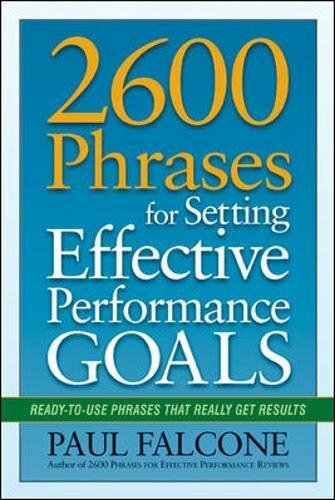 A natural follow-up to the bestselling 2600 Phrases for Effective Performance Reviews, this quick-reference guide provides readers with ready-to-use performance goals organized by the characteristics and core competencies used most often in the appraisal process. From attendance and attitude to teamwork and time management, managers will find the language they need to inspire exceptional results. The book also includes wording tailored to many of the most common positions in sales and marketing, accounting and finance, HR, IT, legal, manufacturing, operations, and more. Comprehensive and organized for ease of use, this book enables managers to lay the groundwork necessary for phenomenal achievement on the part of their people.